42com Telecommunication GmbH is active in the field of retail voice, wholesale voice and switch solutions (switch partitioning). Our company provides tier-1 operators, MNOs and OTTs with stable direct routing connections in all countries around the world, especially in Africa, Eastern Europe and the Middle East. Through a customized business model, Partner can choose from a selection of individual destinations and trusted global carriers and conduct operations with the highest professional standards. We also engage in bilateral trading, swap deals, and fixed-price routing. Founded in 2002, 42com is one of the leading Information and Communication Technology (ICT) service enablers, based in Germany. In order to gain a more dynamic international presence, the founding of the subsidiary 42com International Inc. (USA) followed in 2012. We offer a highly accessible web-based customer management and billing platform for technical and managerial control of advanced telecommunications services. Our real-time billing from the cloud includes, e.g. fixed line and VoIP telephony, interactive voice response and intelligent routing management. We also offer a variety of client solutions, e.g. mobile dialer as smartphone app. The ANNECTO Group is primarily focused on providing Voice aggregation and Direct termination but also offers a suite of services such as SMS, Mobile Solutions, Mobile Financial Services, VAS Solutions and Managed Services. Established in 2003 and restructured in 2014, ANNECTO partners with over 250 carriers including MNO's, PTT's, Tier-1 companies and small niche suppliers across the globe. The ANNECTO group also provides quality SMS solutions to Mobile Network Operators, Carriers and Enterprises through AMESSAGING. AMESSAGING has recently deployed a state of the art SMS platform offering market leading Anti-Fraud solutions for MNO's and feature rich Trading services for partners. ANNECTO continues to offer managed services for all telecoms services and also has access to its own DECT Guard Band License for rural coverage and small cell technology. BICS delivers best-in-class international wholesale solutions to any communication service provider worldwide. Through its Mosaic portfolio, a comprehensive, flexible and innovative suite of solutions designed to be used individually, or collectively, BICS meets the existing and future requirements of the global telecoms industry. BICS’ headquarter is located in Brussels with regional offices in Bern, Madrid, Dubai, New York and Singapore. We also have a satellite office in Beijing and local representation in Accra, Cape Town, Miami, Montevideo, Nairobi and Toronto. Our team continuously strives to provide our customers with the highest levels of quality, reliability and interoperability enabling them to maximise their end-user value. With our successful consolidation strategy, and a continuing focus on technological advancement and innovation, we have achieved a world-leading position in the international Voice and Mobile Data markets. An international carrier with 23 years of experience providing Voice, SMS and Data services to carriers around the world. C3NTRO Telecom is the operator of choice backed by our reliable, state-of-the-art global IP network, with more than 300 direct interconnects and in-country partners worldwide. We offer guaranteed SLAs and proven business tools to ensure an optimal combination of quality and cost – effectiveness thus making our high scalable switching platform the top choice for Tier 1’s. We also provide integrated hosted solution for enterprise organizations: Unified Communications, DID`s, Video, Microsoft solutions and Cloud Contact Center services. Communications made simple. Dial Telecom (DT) is the largest neutral dark fiber and capacity provider in the region connecting Germany, Austria, Czech Republic, Poland, Slovakia, Hungary and Ukraine with a strategy of having lowest latency possible between Frankfurt and major Central European hubs such as Prague, Vienna, Brno, Bratislava, Krakow (connecting Warsaw and Ukraine). Capacity provided on the network ranges from the lowest Ethernet and SDH/SONET speeds up to 100 Gbps and also Alien Waves. The network is mostly laid down along gas pipes providing the most secure and reliable connections. DT also owns one of the largest MAN networks in Czech Republic and thus being the preferred partner for local tails in the Czech and Slovak Republic. DT today provides services to more than 300 wholesale and 3,000 corporate customers. Dial Telecom offers all kinds of voice and data services such as SDH, Ethernet, wavelengths, IP transit, dark fiber, HDPE ducts, collocation, telemetry, wholesale voice transit and cloud services. Enter is a leading ISP focused on providing network connectivity, cloud and data center solutions throughout Europe, the U.S. and Asia-Pacific. Our IP backbone spans Europe’s largest PoPs (Milan, Rome, Palermo, Frankfurt, Amsterdam, London, Paris, Madrid, Stockholm and Brussels) as well as the U.S. (New York, Miami, Los Angeles) and far East (Hong Kong) to serve companies in Europe, North America and APAC. We own and operate a national network in Italy, Spain and the Netherlands. In Italy, we offer Colocation Services at our neutral interconnection facility in Milan Caldera. In 2012, we developed Enter Cloud Suite, the first European, OpenStack-based cloud IaaS service. Enter Cloud Suite is available in Milan, Frankfurt and Amsterdam, and is one of the official cloud platforms of 52 European institutions and agencies, such as the European Parliament and Court of Justice. Epsilon is a global Cloud-centric Network Service Provider, extending carrier grade connectivity services to the world’s Communications and Cloud ecosystems. The company offers smart networking capabilities that combine on demand infrastructure, automation, web-based portals and APIs to give partners friction-free access to global connectivity. All Epsilon services are powered by a next generation hyper-scalable global backbone which connects all the leading telecoms hubs globallyt. Exatel is a member of the PGE Capital Group and a leading telecommunications operator in Poland, providing solutions for the business and public service sectors. Exatel manages Poland's state-of-the-art data transmission network with a throughput of up to 8 Tb/s in a DWDM backbone. We boast a network length of approx. 20,000 km. The company has a direct connection with nearly 80 of the largest national and 70 foreign operators, allowing for the transfer of data as well as the transit and termination of voice traffic routed through Central Europe. With the shortest optical connection between the strategic European Internet Exchange Point in Frankfurt am Main and Moscow, Exatel provides the lowest latency in data packet transfer. Exatel cooperates with reliable, appropriately certified and loyal partners specializing in specific fields of ICT. In collaboration with our partners, Exatel provides its customers with customized technology solutions suited to their individual needs. With a unique installed base in 180 countries and counting, Expereo is the leading local access centric Managed Networks Operator. We provide Dedicated and Broadband Internet, Ethernet, Virtual Private Networks, Equipment and On-site Professional Services to international carriers, cloud providers and integrators. We started back in 2004 in Europe, invented the global Internet access aggregation model and created a unique global service portfolio for international carriers, cloud providers and integrators. We have been leading the market ever since. We have built an unrivalled network of more than 3,000 suppliers in all key regions and have offices in the Netherlands, United States, Singapore, United Arab Emirates, Argentina, Russia, Mexico, and Morocco. Global KVANT Services successfully operates since 2007, and now is one of the leading telecommunication services Provider in Russia and CIS countries. During these successful years the Company has proved itself as a reliable partner in telecommunication services, offering technologically advanced integrated solutions. The company’s own fiber optic infrastructure covers over 7,200 kilometers across Russia. The Global KVANT Services GmbH network also extends beyond Russia through central Asian partner's network to CIS countries, with PoP’s in Frankfurt, Moscow, Almaty and Hong-Kong. These valuable assets make Global KVANT Services GmbH a perfect technological partner, who provides a complete range of high-quality, reliable and secure solutions. Services range from broadband fiber optic internet connection to the VPN services and collocation solutions, Global KVANT Services GmbH is a regional hub between Europe and CIS countries, who can rapidly deliver services to Operators, Providers and Enterprise, driven by stakeholder value creation in a highly competitive environment. JSC “Kazakhtelecom” is Kazakhstan’s largest fixed-line telecommunication operator and 51% owned by the government. Our company employs 25 thousand employees and has a “BB+” rating issued by Fitch Ratings и Standard&Poor’s. Through our fully protected backbone and extensive last-mile network we provide a wide range of telecom solutions to more than 120 domestic and 40 international carriers. We dominate fixed-line market with 93% share in fixed-telephony and 75% in broadband markets. For our transit projects (DREAM and REAL) we have built a 4Tb/s dedicated transit network based on OTN technology to provide the shortest latency between Europe and Asia. For governmental and corporate clients we offer 16 world-class data centers (including one Tier III) across the country with full range of services. Transforming into a multiservice operator, the company has started to develop new lines of business such as FMS, E-commerce, FinTech, Internet of Things and Big Data. Lycamobile is available in: Australia, Austria, Belgium, Denmark, France, Germany, Hong Kong, Ireland, Italy, Macedonia, Netherlands, Norway, Poland, Portugal, Romania, South Africa, Spain, Sweden, Switzerland, Tunisia, Ukraine, the UK and the USA. Manor Telecom is one of the proud industry leaders focused on International Wholesale and Retail Voice Terminations, Corporate IP-Telephony Services, MVNO Mobile Services and been one of the most powerful thought leaders in the industry of Telecommunications. Currently originating retail voice traffic from 40+ countries in the world with more than 200 direct interconnections across aiming to be one of top industry leaders by 2015.Our best in class technical expertise has always been a key blessing to let ourselves expanded globally and rapidly. Manor Telecom is one of the most reliable names in the carrier voice industry through our highly redundant telecom services and quality customer services to our valued partner-customers across the board. Our ethical view is to look after the customers’ requirements with the top-most priority set and we always believe that what matters to our customers, indeed matters to us. Manor Telecom is one the pioneers to get in touch with the global ethnic communities and always been more than happy to take the corporate social responsibilities regardless any geographical entities which include lot of fund raising and charity projects across the globe. We always love to be part of the global Ethnic Community and indeed would be keen to look into opportunities to keep this momentum going forward. Global access to the best resources and technologies, combined with a customer-centric service, enables us to deliver highly available and secure data networks around the globe, ensuring global information technology for our customers' business. Our clients are global companies and have international sales with offices around the world. Security and reliability in data communication are the guarantors of your business success. They rely on Nicos solutions and benefit from secure, high-performance data networks and tailored services that ensure the smooth running of their business. Qatama Communications (Qatama Ltd) is a communication services firm supporting international, regional and local carriers with a range of specialized services including International Voice Termination, Cloud Switching and SIP Services. With its headquarters strategically located in the United Arab Emirates, Qatama Communications provides its partners strong and reliable interconnects into the Middle-Eastern and Central Asia telecom markets. Qatama Communications was founded and is staffed by people who have created results for leading Tier-1 carriers throughout Asia and Europe. Contact us to find out more on our services and interconnects and how we can help you utilize them. Sipstatus is the choice to take when you want a professional and affordable voice solution without too much hassle. Having excellent trade references from major companies, an excellent financial history and a long lasting partnership with several direct operators, you can be sure that all the surprises Sipstatus has are pleasant and profitable. Sipstatus started in 2009 as a small family business providing voice services for call shops in Italy, Spain and entering in 2013 in the wholesale business. The company managed to achieve a great growth in a very short time powered by a team of professional account managers, an army of skilled NOC engineers and an in-house developed routing / billing platform that transforms tedious work into a few simple clicks. StarHub is Singapore's fully-integrated info-communications company, offering a full range of information, communications and entertainment services for both consumer and corporate markets. StarHub operates a mobile network that provides 3G and 4G services and up, including the coming 5G services. It also manages an island-wide HFC network that delivers multi-channel pay TV services (including HDTV, Internet TV and on-demand services), a broad range of home and business broadband plans, as well as commercial and residential IPTV services. Operating an extensive fixed business network that provides a wide range of data, voice and wholesale services, StarHub offers a fully redundant and resilient network solution to help address its enterprise customers’ network challenges. StarHub's network has risen to cover more than 200 Points-of-Presence (POPs) globally and this growing network has helped the service provider offer international connectivity services to enterprises in numerous verticals, including Finance, IT/Media, Manufacturing, Maritime, Government, Utilities, Hospitality and Healthcare. Superloop is a new and exciting, independent dark fibre infrastructure provider designing, constructing and operating networks throughout the Asia Pacific region. We are building critical core infrastructure for wholesale carriers and global content providers who require infinitely scalable and reliable connectivity. With the fundamental principles of high core count, diversity, rapid provisioning and streamlined maintenance, Superloop is bringing innovation to infrastructure. Designed for a modern, rapidly changing industry, Superloop has the speed and capability to change and grow with your business needs. We’re giving you Dark Fibre your way. Backed by Bevan Slattery and an experienced leadership team, Superloop has a proven track record of delivering large infrastructure projects including large-scale terrestrial dark fibre networks, data centre construction and submarine cable deployments. Innovation and challenging existing assumptions is core to Superloop’s philosophy. TNS-Plus is one of the largest telecommunications operators in Kazakhstan, part of VEON Group, providing a wide range of telecommunications services, both inside and outside the Republic, specializing in services for voice traffic, Internet access, international / long distance channels. The total length of fiber-optic lines is about 12 761 kilometers. 18 direct connections with 10 main primary providers of Russia, Uzbekistan are organized. Kyrgyzstan, and China. TNS-Plus in cooperation with its foreign partners provides data and voice transit services between the CIS countries and Eurasia. This service allows to connect the structural divisions and networks of partner companies in Kazakhstan and abroad, as well as connect to global data networks. Top Telecom sells wholesale Voice Services (Telephone calls, SMS) through connections between its infrastructure and networks of the major telecom operators. 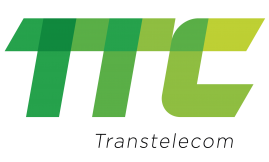 JSC «Transtelecom» is one of the largest communication operators of the Republic of Kazakhstan, which specializes in providing a wide range of telecommunications services, as well as info communication services. The company was founded on November 9, 1999 after the alienation of non-core assets of NC JSC “Kazakhstan Rail Ways”. JSC "Transtelecom" has 13 branches, more than 3,500 highly qualified specialists and its own network with the length of about 15,000 km in the Republic of Kazakhstan. Also, JSC "Transtelecom" has direct cross-border connections with operators of Russia, China, Uzbekistan, Kyrgyzstan. Currently, negotiations are underway to establish a joint with the state-owned telecommunications company “Turkmentelecom”. The presence of cross-border joints and own POP knots allow to work in the international market of telecommunication services (transit channels, Internet, voice). WAVECREST provides partners such as Tesco with International Calling Solutions - apps, calling cards & MVNOs. These are fully hosted services offering in-house app development, 24/7 monitored A-Z termination, billing, customer services, detailed reporting and technical and payment solutions. WaveCrest manages these services, allowing our retail partners to focus on marketing and growing their products. WaveCrest terminates 400 million minutes per month and with its head office in the UK, the company also has a well established global presence with offices and personnel in Germany, France, Italy, the USA and South America. Established in 2001, WaveCrest received renewed investment in 2015 from New Sparta, the private office of economist Dr. Jerome Booth. The New Sparta group includes NIMBUZZ, one of the world’s most popular social media platforms. With an experienced team focusing on Asia, Africa, LATAM and the Middle East, WaveCrest provides premium calling solutions across the world and our flexibility and experience means we can build a bespoke service to meet our customers’ specific needs.